THE heartbroken mother of a young Queensland woman killed in a motorbike crash in Bali has asked Indonesian police not to criminally charge her boyfriend. Sophia Fiorella Martini, 27, was a pillion passenger on a scooter driven by her boyfriend, when it crashed in the early hours of Saturday morning in Kuta. Both were wearing helmets at the time of the crash. Ms Martini suffered serious leg injuries and is believed to have suffered fatal blood loss. Her boyfriend, Steele Nugent, 23, was held by police for questioning after the accident but has been released from custody and police say he will likely be allowed to return home after promising to return if he is to be charged. The mother of Ms Martini has sent a letter to Bali police, asking them to halt any criminal charges or legal process against Mr Nugent and for her daughter's body to be returned to Australia. Police were still considering the request from Ms Martini's mother. They said such a letter could be taken into account when considering whether to charge Mr Nugent. Mr Nugent was in police custody for one night, from the time of the accident on Monday morning until yesterday morning. But he has not been named a suspect and was only there to make a statement about the incident. Police said they would investigate, as is usual practice, whether alcohol could have been a factor in the crash, which did not involve any other vehicles. Denpasar Traffic Chief, Commissioner Rahmawaty Ismail, told News Corporation today police were now considering the letter from the victim's mother. "She said that Steele and her daughter have a special relationship and she hopes that we would not process the case. She also asked to be allowed to take her daughter's body to Australia," Cmr Ismail said. Cmr Ismail said police were still considering the request from Ms Martini's mother not to pursue charges. "Based on our regulation, it is called alternative dispute regulation. So, the legal process is completed outside the court. But we haven't decided until now," he said. Ms Martini lived on Magnetic Island and had been working as a trainee at the Townsville City Council since May. Acting Mayor Les Walker said she was a "loved" member of the council team. 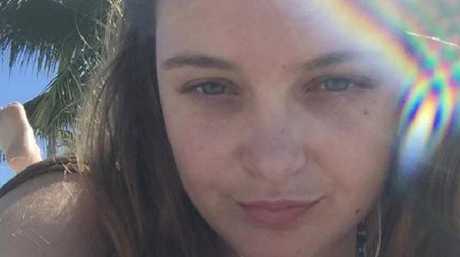 "She was a bubbly character and they're just shattered at the loss in such tragic circumstances. "We've offered support to any staff that worked with her," he said. Friends from Australia and abroad have taken to social media to share tributes to Ms Martini. "Sophia was one of those few you will meet in your life that had the gift of no matter how your day was going, or how bad things were in your life she only had to look at you and smile and you would all of a sudden find yourself smiling as well," one person wrote on Facebook. 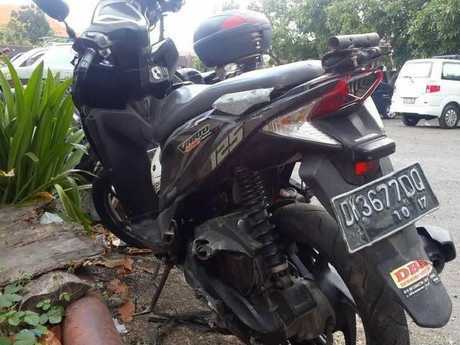 The couple was returning from Kuta to their Canggu hotel about 1am on Monday morning when their rented Honda Vario motorbike ran out of control and hit a parking sign on Jalan Raya Kuta. Cmr Ismail said Ms Martini, the pillion passenger, had died at the scene. "We are still in the investigation process. His status now is witness. Later, we will see how the process goes," Cmr Ismail said. He said Mr Nugent had not been arrested and was free to return to Australia. If needed he had promised to return to Bali. "He will go back to Australia. But if we need him, he has committed that he will come," Cmr Ismail said. He said that Mr Nugent had told police he did not know exactly what had caused him to lose control. "He doesn't know. But as it was at night, maybe he was not focused. Maybe the affect of the alcohol, but we don't know exactly whether he was drunk or not. 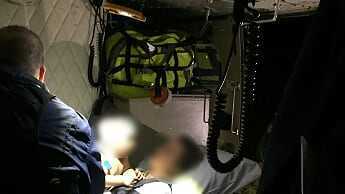 The mouth smelled of alcohol, doesn't mean he was drunk," Cmr Ismail said. Dr Ida Bagus Putu Alit, the Sanglah Hospital Medical Forensic chief, said Ms Martini's body was still in Sanglah morgue. "From preliminary examination, there are small wounds in the face and in the chest. The fatal wound is in the right leg. It's a big open wound, looks like a fracture. However, we are yet to know the cause of the death," Dr Alit said. No autopsy has yet been conducted. Ms Martini has become the fourth person to die from a scooter crash in Bali in the last year. The third was 26-year-old Sydney woman Ella Knights, who was found by a passer-by lying face down in a gutter in Canggu, in the north Kuta, on April 27. Days before she died, Ms Knights uploaded a video to social media of her riding on the back of a scooter on the popular island. The post read "Sorry mum #nohelmet". Scrapes, bruises and sometimes deaths due to bikes in Bali are sadly not unheard of. The Department of Foreign Affairs' SmartTraveller website specifically warns of the dangers of using motorbikes in Bali. "A number of foreigners, including Australians, have been killed or seriously injured in motorcycle accidents in tourist areas, particularly in Bali," the site states. "Motorcycle riders and their passengers must wear a correctly fastened and approved helmet." The tragic deaths of Ms Martini and Ms Knights come a year after 16-year-old Australian Lochie Connaughton died when he lost control of a scooter in Kuta while driving out of the basement of the Marriot's Stone Hotel on April 28, 2016. A month later Victorian firefighter Adrian Newton, 42, was killed when police said his motorbike collided with a garbage truck on May 17 in Kuta.